Dubai, United Arab Emirates October 24, 2018 — Fractal Analytics, (www.fractalanalytics.com), a global leader in AI solutions that power human decision-making in Fortune 500 companies, today announced the launch of ai.dxb workshop in Dubai, a brand-new workshop focusing on how Fortune 500 businesses can better leverage artificial intelligence for their organizations. The half-day event, which includes a number of sessions and panel discussions will take place on October 23 at Grosvenor house. Fractal Analytics’ ai.dxb is the only industry event of its kind, designed to help Fortune 500 attendees from a wide-range of industries – CPG, financial services, healthcare, insurance, telecom, hospitality and retail – learn how to practically implement artificial intelligence for their business. Martin Lindstrom, change agent, brand futurist and best-selling author will be the keynote speaker. Lindstorm will speak on few concrete cases to identify small data, frame this data and prepare them for AI & big data applications. On the attendees list are the senior executives from leading organizations in UAE, research and advisory organizations - Gartner and Forrester and other leading media houses. 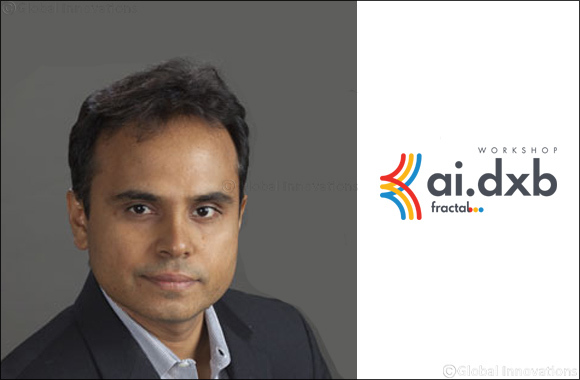 Since 2000, Fractal Analytics has been a leading provider of AI and analytics solutions for the world’s largest companies, powering human decision-making across the globe. Fractal has more than 1,200 employees in 16 global offices in the United States, Europe and Asia.